Explore the processes of photosynthesis and respiration that occur within plant and animal cells. The cyclical nature of the two processes can be constructed visually, and the simplified photosynthesis and respiration formulae can be balanced. 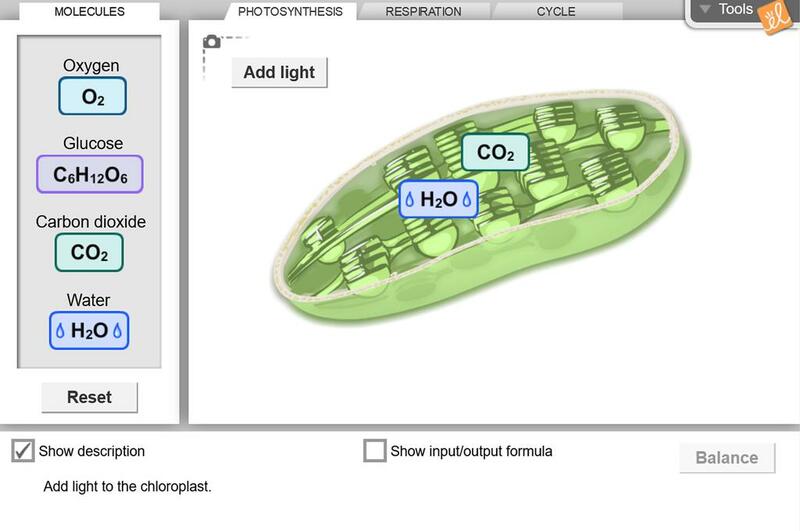 Simplified for standard Biology class with diagrams for photosynthesis and one for both processes with th... (more)e interaction. I use the Cell Energy Gizmo in 7th Grade and then revisit it with 8th graders as a familiar example to support balanced equations. A wonderful resource and learning tool for all grade 10 and 11 biolofy students. Very well done gizmo with lots of learning!! This Gizmo makes the connection between photosynthesis and cellular respiration a breeze!